The Hopkinson Report » Episode 153: How to write, self-publish, and market a religious thriller that kills on Amazon (even if you work in IT). Episode 153: How to write, self-publish, and market a religious thriller that kills on Amazon (even if you work in IT). 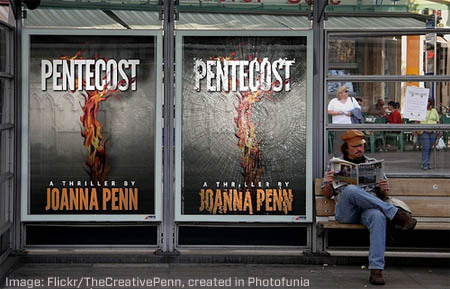 Today I interview Joanna Penn of The Creative Penn and self-published author of the religious thriller, Pentecost. For the full interview — a must-listen for anyone wanting to self-publish their own book — please listen to the podcast. Joanna Penn has had quite an amazing journey from the UK and a Theology major at Oxford (hence the religious thriller), all the way to New Zealand and Australia, and now back to the UK. As a full-time IT employee, she started her writing career with non-fiction books such as How To Enjoy Your Job and the basic ways of marketing. She once tried to do the full-time author route and take an extended period of time off in order to write “The Great American (Australian?) Novel,” and tried signing on with traditional publishers, but it didn’t pan out. Intrigued with the rise of digital publishing, print-on-demand, and using social media as a marketing platform, she started a blog and podcast called The Creative Penn. Joanna immersed herself in everything going on in the industry, and became a trusted source for information, while also interviewing dozens of authors. 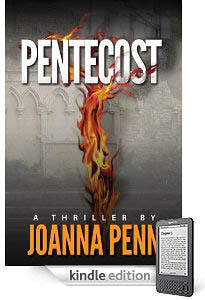 Eventually, her writing solution was to go to her employer and reduce her workweek to 4 days per week, freeing up more time to work on her religious thriller, Pentecost. Joanna always wanted to write fiction, and got her inspiration in Venice at the Pentecost dome at St. Marks. Pro tip: All the top authors think in terms of a series… building a story around a character that readers can follow from story to story. Hook ’em once, and they’re you’re audience for many books to come. Joanna stressed the importance of hiring a pro editor. Yes, you can go through your own work, but you’ll miss something. Pro tip: Release chapters and ideas out to your readers… they’ll help you out, feel involved, and become your biggest fans. Book cover design is very important. Joanna used a freelancer at Thebookdesigner.com. Pro tip: Once again, crowdsouce. Joanna posted several versions of her book cover online and let her readers vote. The winner surprised her, but was rated most favorable by a margin of 20%. 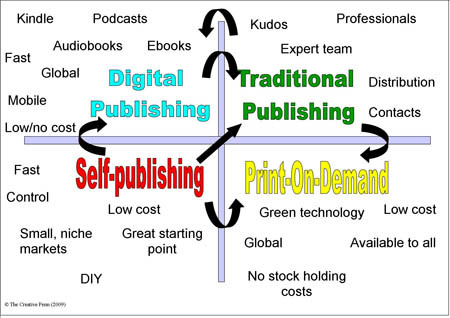 Getting the book into the right format can be a pain… pay someone to do it. Pro tip: Check out Smashwords.com. Head to Kdp.amazon.com… it’s free to to upload in Kindle format, and your book will be live in 24 hours! 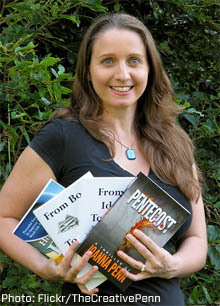 Joanna started her book out at $2.99, the average price for indie books and based on a lot of research by excellent author/blogger Joe Konrath. Pro tip: She dropped the price to 99 cents because her goal was to get the biggest audience with her first book, not make the most money. Sales took off. Two keys to success on Amazon are reviews and sales. The book rose to #2 in religious fiction, #2 in action adventure, and #300 overall. – Success breeds success. Do well on Amazon, get good reviews, get good rankings, and it becomes a snowball effect. – Write a good book. All the marketing in the world won’t help if the product is sub-par. Put in the effort. – This is a new reality: It’s a bit of hard work, but everyone can do this. Joanna also interviewed me on Skype video for HER blog. Here’s how it went. This entry was posted on Thursday, May 19th, 2011 at 7:14 am and is filed under Branding / Advertising, Facebook, Interviews, Marketing Case Studies, Pop Culture / Entertainment, Social Networking / New Media, Twitter. You can follow any responses to this entry through the RSS 2.0 feed. Both comments and pings are currently closed.